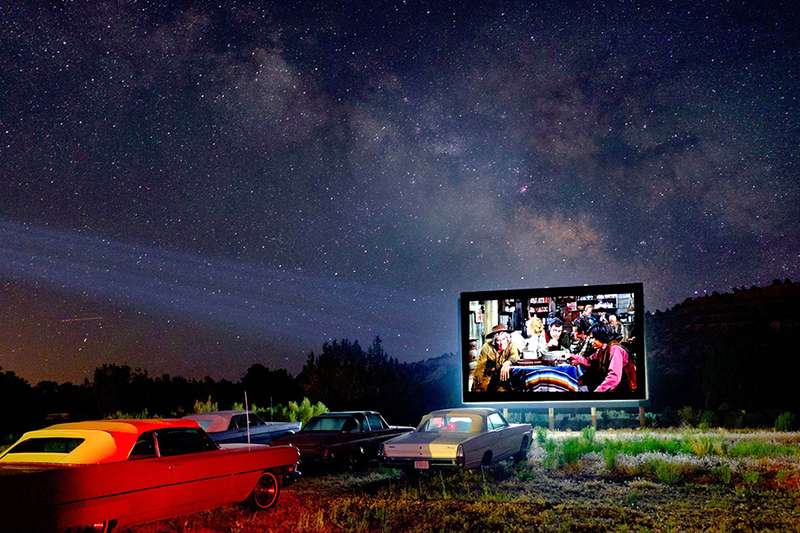 The vintage drive-in theater is one of the hottest summer activities and some of them also allow RV and tent camping. Check out 5 of the best around North America. Summer is finally here and what better way to enjoy the warm nights than with a big screen movie under the stars? 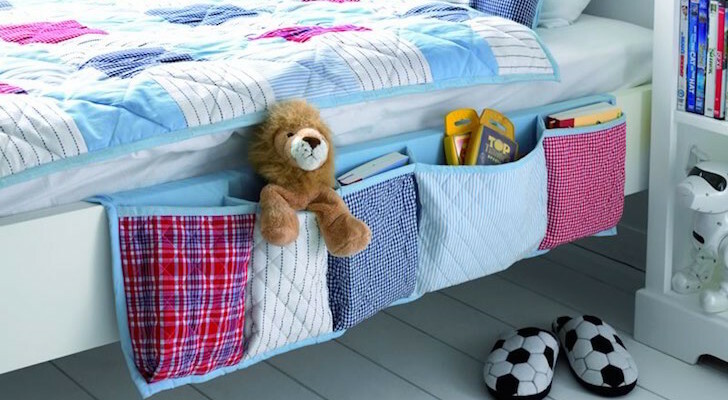 There is one thing better: doing it in your RV. The drive-in movie theater, once a Saturday night summer mainstay, is coming back. Both small and large cities around the country are restoring old drive-in theaters or replacing them with unique options and amenities. 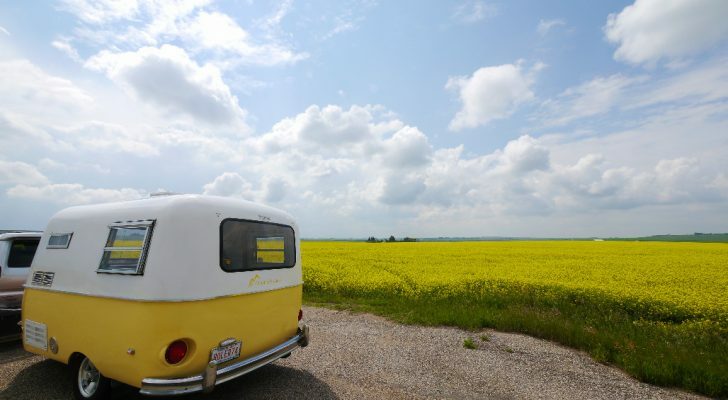 Here are 5 places around North America where you can take your RV to enjoy a fun version of this old school summer activity. The Shooting Star RV Resort in Escalante, Utah is one of these unique places to take an RV. It once was a drive-in on the famous Scenic Byway 12 but is now a campground and resort with a nod to the 1950s and 1960s. 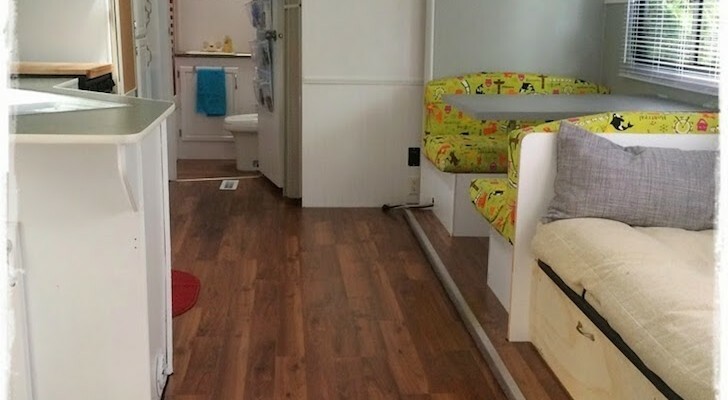 Not only can you park your own RV at one of Shooting Star’s full hookup sites, but you can also rent a classic Airstream designed to look like a Hollywood dressing room. 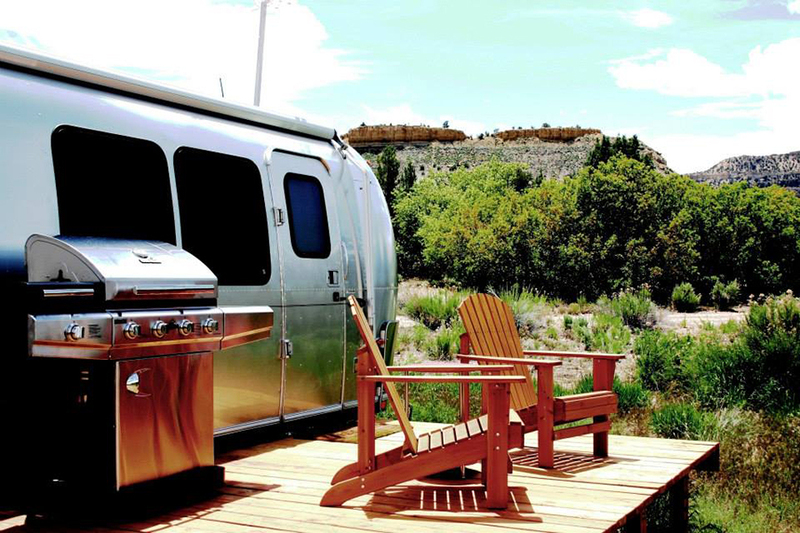 The Shooting Star RV Resort also offers classic Airstreams for rent. 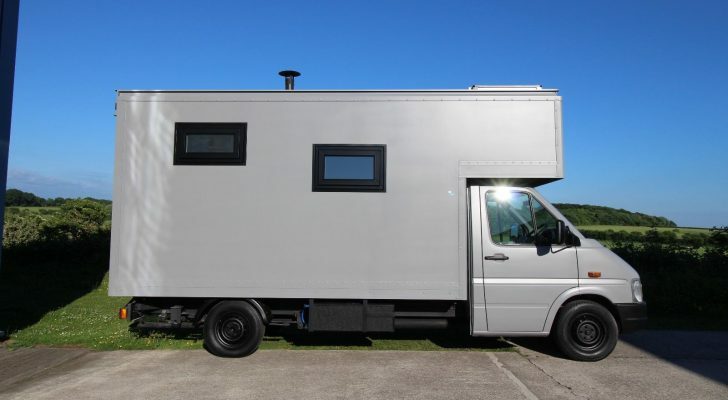 Each Airstream has air conditioning and heat and comes with a full kitchen. They are named after famous actors or movies with names like Bogie’s Boathouse, Holly’s Hideaway, and Elvis’s Pineapple Paradise. The outdoor theater shows movies on Tuesday, Thursday, and Saturday nights, and while RV park guests can’t bring their own car they can rent a classic 1960s car to enjoy the movie in. 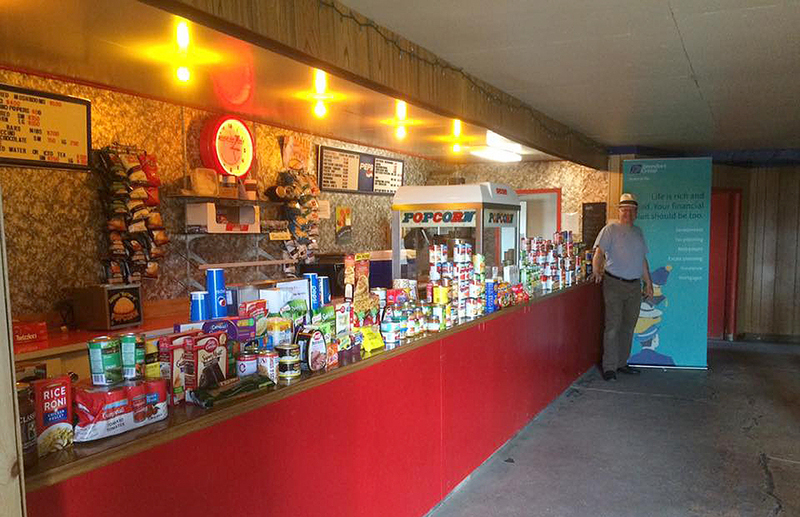 Established in 1956, the Long Prairie Drive-In Theater in Long Prairie, Minnesota is the type of outdoor movie theater that has been featured in countless…well…movies. 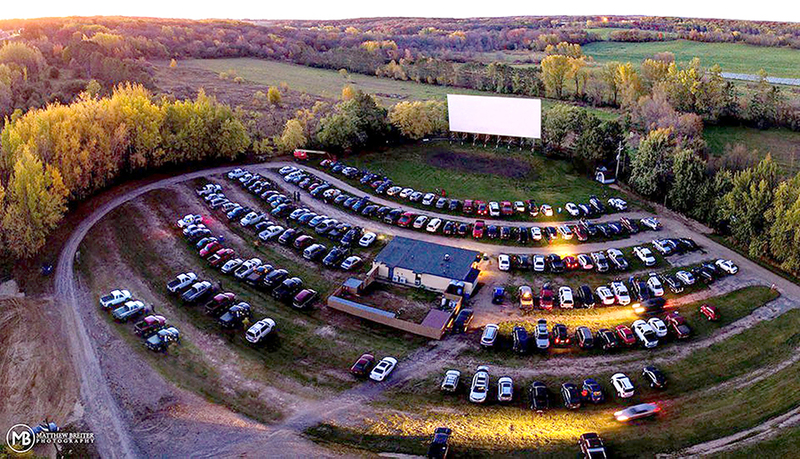 With its family-friendly vibe and special events (like classic car night), this is the type of drive-in theater that deserves to be highlighted. 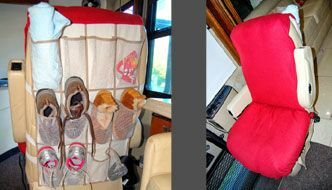 It also has inexpensive camping for both RVs and tents. 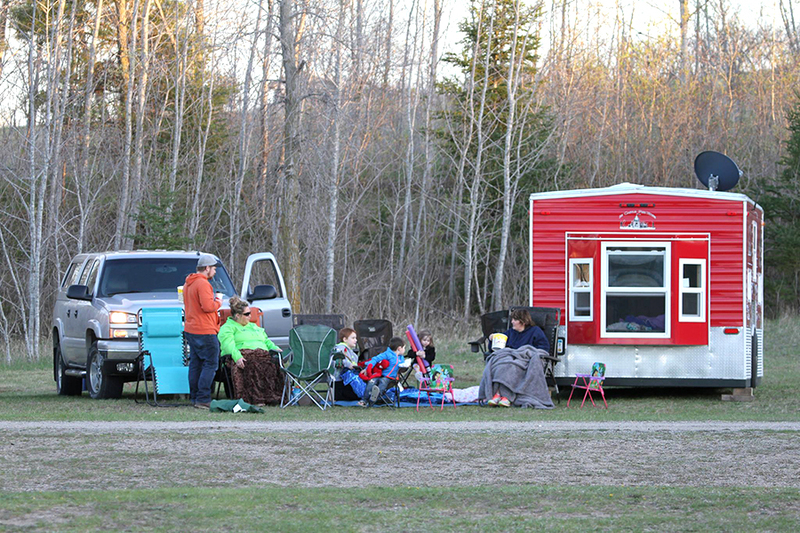 Drive-in camping is only $10 per night and all guests can watch the first-run and special event movies on the large outdoor screen. The Long Prairie Drive-In has spaces for RVers and their…ice houses? The campground features tent spots closer to the movie parking area as well as grassy areas for setting out lawn chairs. RVs and larger vehicles are in the back of the park where there is also some more secluded tent camping. All camping must be reserved, but checkout is a liberal 1:00 pm if you have a late double-feature night. Located in Guymon, Oklahoma, this classic drive-in theater, pizzeria, and grill also has a large RV park that is open all year. 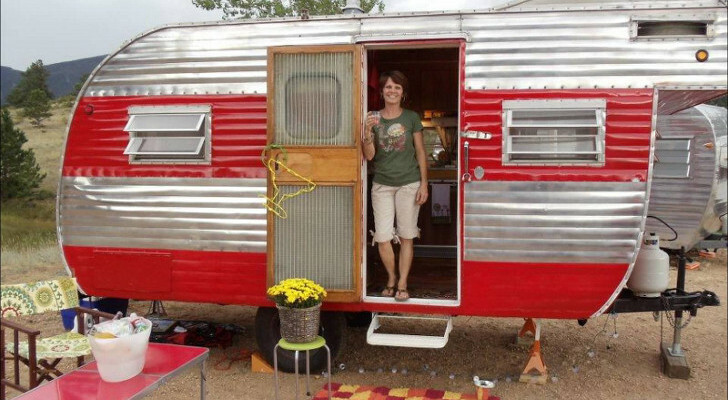 The pet-friendly Corral Drive-In RV Park has pull-through sites and full hookups. 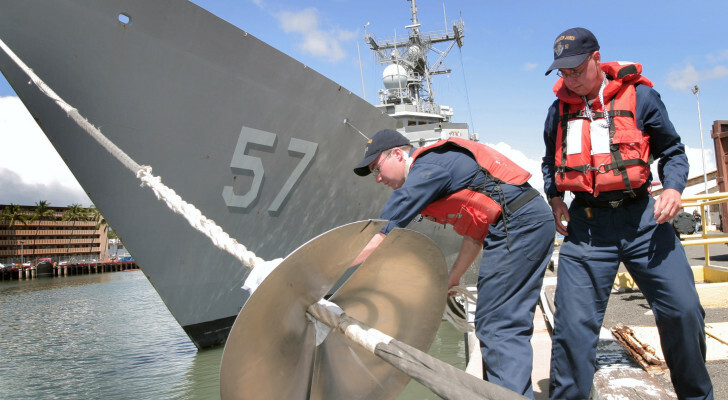 In addition, the park offers RV repairs for everything from routine maintenance to awning repair. The park and drive-in also have a pizzeria that makes it easier to enjoy the digital movies on the big screen. The movies are shown on Friday, Saturday, and Sunday nights and only cost $7 each for adults and $5 each for children. 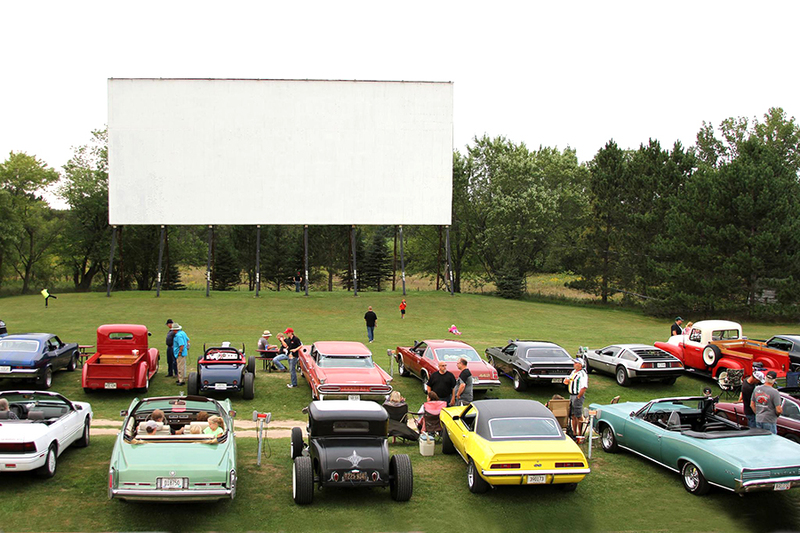 Located in Morden, Manitoba, the classic Stardust Drive-In Theater is one of the last of its kind in Canada. The theater features both new movies and family classics. Movies are shown seasonally from May until September. The theater also features its own campground with full-service sites for only $30 per night. The campground is available for both RVs and tent campers. This theater might also be one of the best places to stop for some movie snacks. Stardust not only features popcorn with plenty of butter, but also poutine fries smothered in sauce, deep fried pizza pop, perogies, and battered mushrooms with dipping sauce. While this classic outdoor theater doesn’t have its own campground, it is right up the road from the Lookout Mountain/Chattanooga West KOA near Trenton, Georgia. 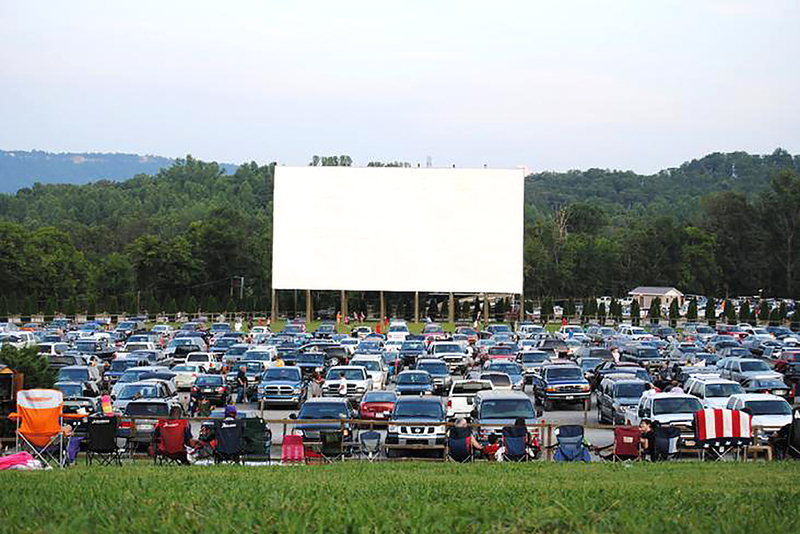 The Wilderness Outdoor Movie Theater claims to have one of the largest outdoor movie screens in the world and can accommodate hundreds of vehicles as well as lawn chairs for the ultimate outdoor movie experience. The theater shows double features of the latest releases as well as classic snacks. The Lookout Mountain/Chattanooga West KOA campground contains over 25 acres of forest and natural landscape and is only 15 minutes away from Chattanooga, Tennessee. 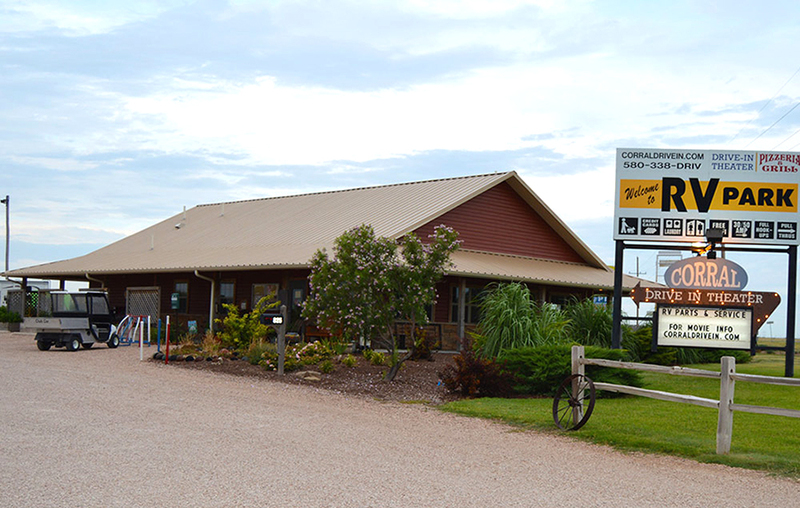 Like most KOAs, this campground has dozens of amenities including WiFi, a pool, dog park, camp store, and cabin lodging. Don’t know about camping areas but the Motor Movie Manor near Monte Vista Colorado is nice. All motel rooms are arranged in a horseshoe shape around the lower bowl for car parking. Audio is piped into each room. There used to be an airstrip out back. I flew in years ago to stay a night and see a movie.